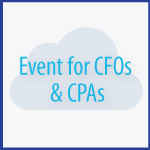 Did you miss the latest InCloud360 webcast: Cloud Computing for CPAs and CFOs? Well, you’re in luck. We’ve recorded the webcast and welcome you to see what you missed. Read on to learn some of the key insights of the cloud webcast, how you can watch the full video, and how you can learn more. InCloud360 president and founder John Bartz, Intacct VP of Channels Taylor Macdonald, and Paymetric VP of Finance Mike Shah came together for this webcast to discuss the following topics in cloud computing. What is the Cloud? Presented by John Bartz, InCloud360 President. Who Plans to use SaaS? Why Intacct over other Cloud providers? Mike Shah, Vice President of Finance at Paymetric: Mike Shah manages the financial operations of the company, including financial planning, internal and external monthly financial reporting, budget preparation, and financial forecasting. His background in accounting and his entrepreneurial experience instill valuable perspective for evaluating the competing demands of growth, productivity, cost and control. John Bartz, Co-Founder and Owner, InCloud360: An established leader of strategy development & execution, operational efficiency & effectiveness, and organizational transformation delivering sustainable business performance improvement and growth. Taylor Macdonald, VP of Channels, Intacct: recognized by ACCOUNTING TODAY as one of the 100 Most Influential People in Accounting (2010-2013) and a vice president at cloud accounting software provider INTACCT, discussed insights into cloud technologies affecting accounting and finance, and future trends for the industry. Ready to get the webcast in its entirety? To learn more about the speakers and get the full experience? Fill out the short form below and you will be able to download this event. InCloud360 is a cloud consultancy servicing the Southeast United States. Learn more about the cloud computing products and services we offer, sign up for our newsletter, and contact us for more information.